Is the first Jurassic World Evolution expansion a T-Rex or a Compy? Jurassic World Evolution was a flawed but fun management strategy, which made up for most shortcomings with lots and lots of dinosaurs. A Jurassic Park sim, or a proper modern remake of 2003’s Operation Genesis, was a game we were desperate to play - and although we did have a lot of fun with it, we were disappointed it wasn’t a little deeper. Now it’s up to the first Jurassic World Evolution DLC expansion, Secrets of Dr Wu, to flesh out that promise. We’ve played it extensively, so is it a huge, impressive expansion that makes the main game deeper? Or is it just a fun bit of content for a fun game that won’t convince anyone who disliked Evolution to return? After getting four stars on Isla Muerta (the second island) you’re invited by Dr Wu, still played by the movies’ BD Wong, to travel to Muerta East - a wholly separate part that plays like a new island, with its own economy. In Muerta East at least, things are very familiar. 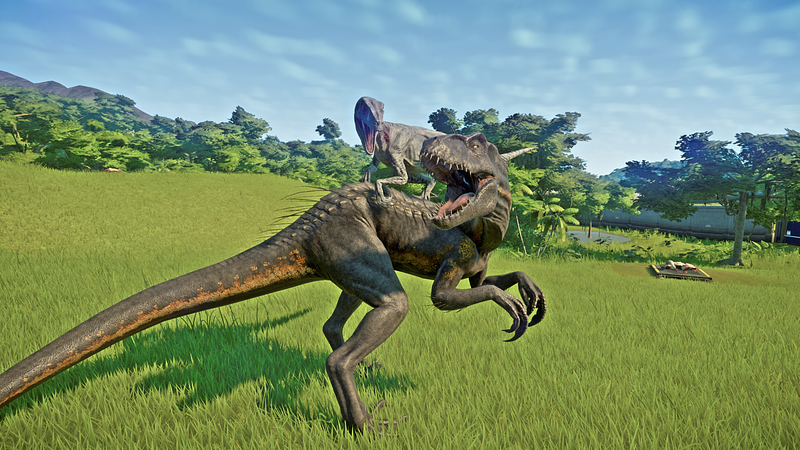 You have a park to manage, Contracts to take on, money to make, and a couple of regular new dinosaurs - the venomous Troodon and the gentle giant the Olorotitan. 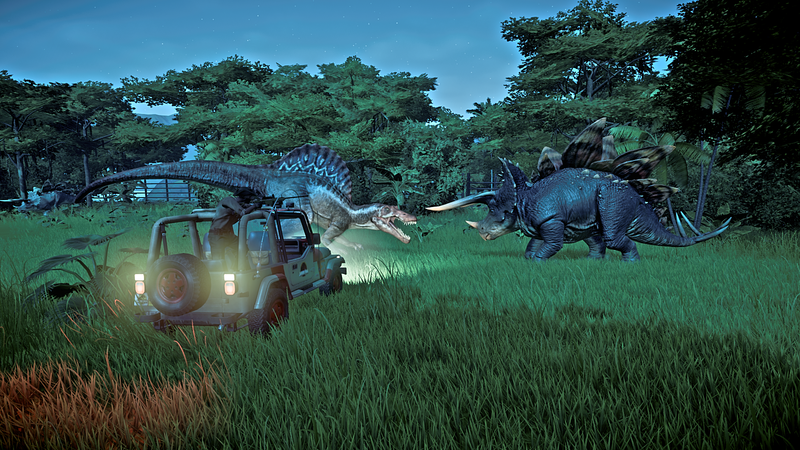 It was at this point I became worried about the expansion, as despite the cool new dinos it wasn’t feeling any different from the main game. Then Dr Wu gets involved and it all goes nuts. The missions are some of the most fun and imaginative in the whole game. On Muerta East they all start off like normal - “create 6 Olorotitans and 4 Triceratops”, that sort of thing - and then Dr Wu steps in and f***s everything up. Just throw some Velociraptors in that herbivore pen, for science, please. I loved hearing the horror of the three division directors too - “what the hell do you think you’re doing? !” Lots of fun. Nevertheless, Muerta East is still otherwise a traditional Jurassic World Evolution level - but the same can’t be said for the second DLC level, Tacano Research Facility. It’s completely off the grid, with only a tiny map where a lot can go wrong. There aren’t any Contracts, in fact you have no contact with the division managers at all - it’s just Dr Wu, and his mad science missions. Our system is an AMD FX-8300 Six-Core Processor, 16 Gb RAM, Nvidia GTX 1050 Ti 4Gb, and Windows 10 64-Bit, and like Jurassic World Evolution before it Secrets of Dr Wu ran perfectly in full settings - and looks gorgeous. We particularly love the new dinosaur hybrid designs, which are almost like a six-year-old made them up - and we mean that as a compliment. They’re slightly wacky, but the Spinoraptor is still terrifying. If you had no problem playing Evolution the expansion will work just fine. Before we sum up, I just wanted to mention some of the improvements to the game included in the last patch, which come as standard with the new levels - such as day/night cycles, expanded feeders, packs and herds with Alpha dinosaurs, and sleeping. These are mostly little things, but boy do they add to the feel and immersion of the game - plus they make the dinosaurs more interesting. Which doesn’t apply to the large feeders, which completely change the game for the better. The second your park got larger, especially the gigantic Isla Sorna or Isla Nublar, the tiny dinosaur feeders became a full-time job - one that wasn’t fun. With the new extra-large ones you hardly ever need to order your ranger teams to refill them, which leaves room for actually managing a dinosaur park. It’s makes the game so much fun… but then it also highlights the occasional dead-time too, when nothing’s happening and you’re just sitting back waiting for money to build up so you can buy another dinosaur. It’s a reminder of how empty Evolution can feel at times, and the expansion doesn’t really change that. Jurassic World Evolution: Secrets of Dr Wu is a highly entertaining and worthwhile expansion to the main game, if you enjoyed Evolution. The five new dinosaurs are fun, the missions are some of the best in the game, and the Tacano Research Facility is a tight and truly unique level unlike any other - it’s about research and things going Jurassic World-level wrong, with an entertaining story to boot. If we’re going to be brutally honest though, in terms of actual newness there isn’t a lot in Secrets of Dr Wu. The expanded feeders and other changes make the game better, but they’re in the patch. 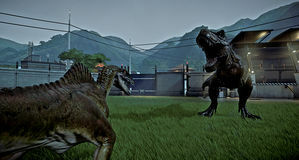 Until we get flying or aquatic dinosaurs, or some expansion to the guest side of things, it will still just be “more Jurassic World Evolution”. Nevertheless, Secrets of Dr Wu is great new slice of Evolution, and boasts a decent chunk of new content. If you enjoyed Evolution and want to return to your park, there’s no better excuse. 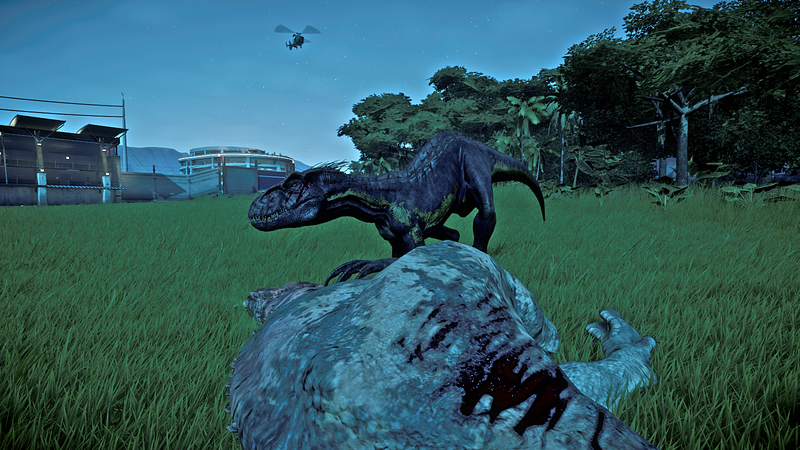 The moment when you realize that dealing with the Spinoraptor isn’t going to be so easy after all. The missions are fantastic, pushing things close to Jurassic World-level disaster. Tacano Research Facility is truly unique level, and you’ll have to be careful playing it. 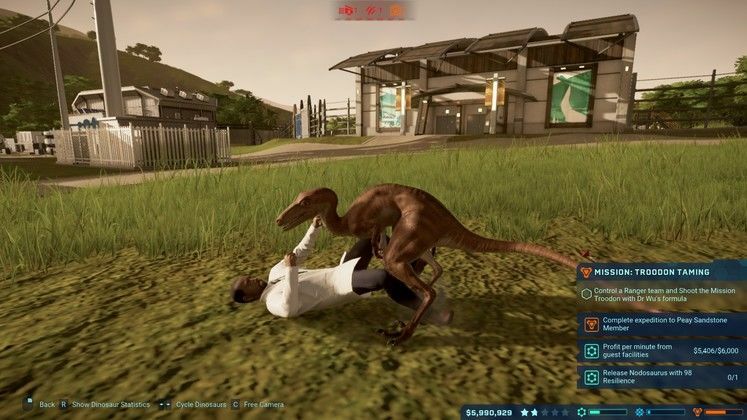 A worthwhile and exciting new chunk of Jurassic World Evolution. Nothing truly groundbreakingly new - if you hated Evolution this won’t bring you back. Muerta East has little to distinguish itself from any of the other island locations.